(Family Features)–If you start each day motivated, but find your energy tends to fade throughout the day, a few simple and easy-to-implement changes to your routine could make all the difference. Minor adjustments to your eating habits, exercise routine and mental attitude can help boost energy levels so you can power through the day feeling fully charged. Tune in. Take the silence out of a dull morning with some of your favorite music to help ensure you're starting the day on a positive note. Turn on the radio while you're showering, plug in headphones while preparing breakfast or set a "wake up and get ready" playlist on shuffle during your commute. Start with breakfast. 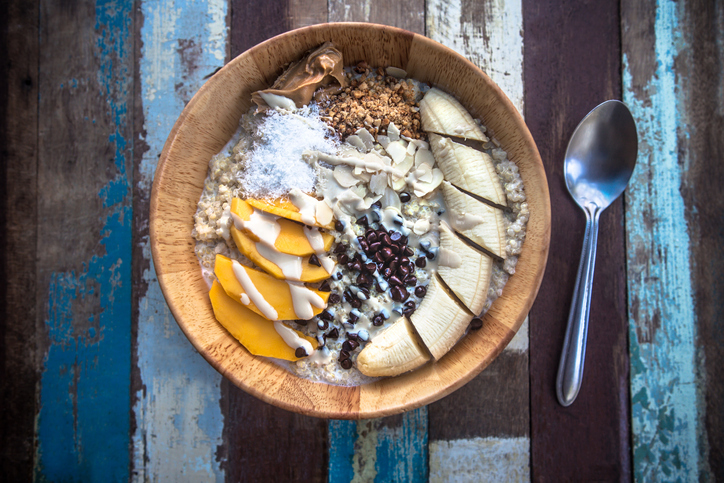 It's fairly common to skip breakfast if you're in a rush to get out the door, but those few minutes you save in the morning can end up costing you as the day wears on. That's because breakfast quite literally breaks your overnight fast and sends signals to your body that it's time to kick back into gear for the day. Choose a convenient, healthy option you can add to your morning routine so that you can get more out of your day. Shake up your afternoon pick-me-up. Mornings can go by in the blink of an eye, but afternoons sometimes seem to drag. A little boost may be all you need to keep going. An afternoon snack can help stave off the slump. Prep for the next day. If you're apt to take your work home with you, consider jotting down any end-of-day work thoughts and tasks for the following day before you leave for the night. Keeping a physical to-do list or journal can provide a starting point for the next morning. This can help prevent forgetfulness, reduce stress and potentially aid in getting a better night's sleep because your brain isn't buzzing from trying to keep a mental checklist.